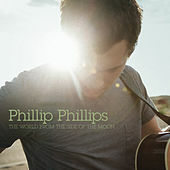 You can't not like Phillip Phillips. Just try it. Think you got over that gravely post-grunge vocal style in the '90s? Not when Phil-squared is getting funky with it in a Hootie-meets-Maroon jam like "Get Up, Get Down," friends. Think you're immune to the driving rock ballads and inspirational heart-yankers Idol debuts are prone to? Nuh-uh, not when P.P. delivers them as a half-lit, irrepressibly hopeful Irish pub rocker ("Gone, Gone, Gone") -- or, even better, like its cousin, the American bar anthem (the winning "Can't Go Wrong"). This is a guy your ears want to be friends with.